File under “A” for So stinkin’ Awesome! Don’t you just LOVE when you discover a tip or trick that makes things so much easier? Well, in my quest to ever learn more about mixed media art, I came across the most awesome tip. This may be well know to all you creatives but it was a super awesome revelation for me. You see, I really do not feel confident in my ability to draw. Sketch and I are not friends but I am forcing myself to sketch ideas and slowly but surely we have come to an understanding. 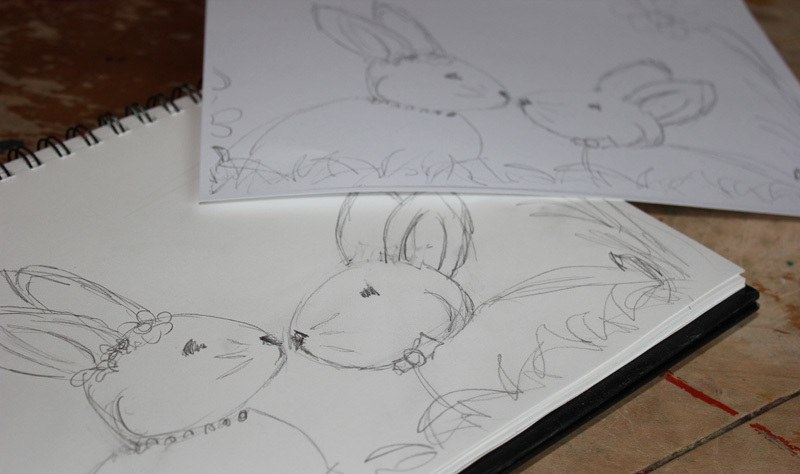 So you can imagine my reluctance to actually sketch on a canvas that has a background already in place. Insert super awesome idea here… are you ready? Junelle Jacobsen, during her Art of Spring class, showed us how she will photocopy her sketch and then size it up or down accordingly and print. 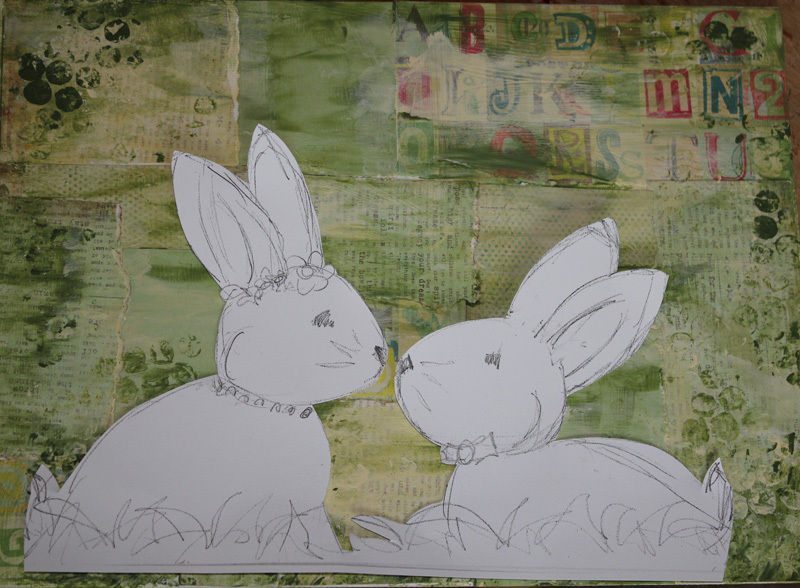 Cut, paste onto background in art journal or canvas and voila! Your cute sketch has not been lost! So simple. So practical. So stinkin’ awesome! Don’t have a copier? No problem. Take a photo instead and print that! The quality of the copy is not essential since you are using it as a rough draft so to speak and painting over it. Cool scoobies right?! Using this technique, I created this cute couple and what I love is that I still can try my hand at watercolor with them. YAY!